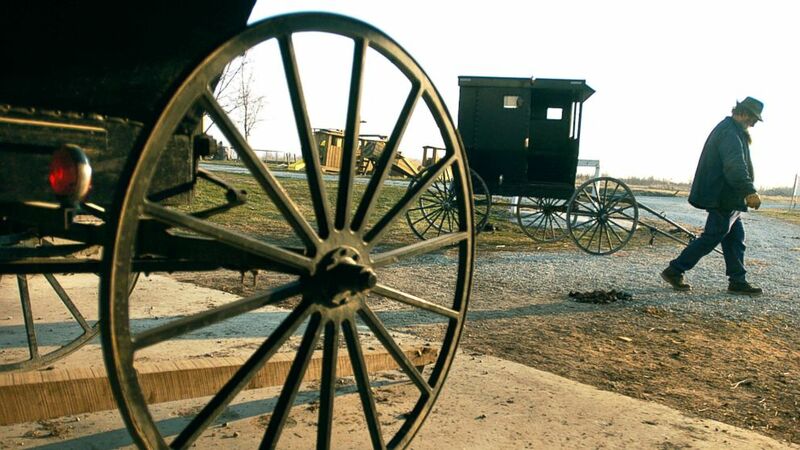 An elderly woman was ticketed by state troopers after second Amish buggy crash. camera (St. Joseph News-Press/AP, FILE) An Amish horse and buggy travel along the country roads leaving the small town of Jamesport, Mo., Feb. 12, 2002. 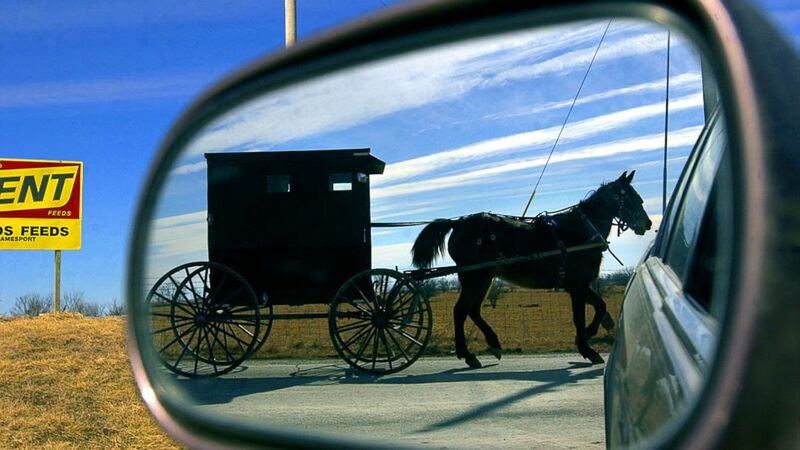 An elderly woman in Missouri was ticketed by state troopers after rear-ending an Amish horse-drawn buggy on her way to a Sunday evening church service. It was the second car accident for 83-year-old Clarissa Smith, who less than a year ago rear-ended another Amish horse and buggy on the same rural road near a settlement of Amish farms. The pregnant driver in that incident died three days later from injuries sustained in the accident, a local official confirmed. Smith had a hard time seeing the horse and buggy sharing Shafer Road in Licking, Missouri, near her home, she told ABC News of the Sunday incident. "I didn't see it in time to get stopped," she said. "I ran into the back end of it." The non-fatal collision occurred at around 6:30 p.m. on Sunday along Shafer Road near County Road 2710 and there were four occupants in the horse and buggy, Missouri Highway Patrol Sgt. Jeff Kinder confirmed. Smith has called Licking home for 50 years, she said. The small town of fewer than 3,000 people is about a two-hour drive from Springfield. The Amish -- a religious sect of traditional Christians who swear off modern amenities, such as electricity and motorized cars -- have grown in numbers in the town over the past decade, Smith said. The particular sect in Licking bought hundreds of acres of farmland in the region and formed their own settlements. "The highway patrolman gave me a ticket," she said, but she refused to explain its contents. Days after the second horse and buggy crash, Smith said her 2001 Mercury Sable sustained some damage to the front grill and a front headlight was "knocked out." Her visibility was clear as Smith said darkness hadn't set in. "Actually the sun was shining," she noted, adding that the horse and buggy she struck possessed a Missouri-mandated decal that she said was "Day-glo" in color. (St. Joseph News-Press/AP, FILE) An Amish man who lives just outside of Jamesport, Mo., readies a buggy for travel, March 16, 2005. Kinder said that state law requires a triangular "placard" to be posted on the buggy for "slow-moving vehicles traveling less than 25 mph." Smith said that when she collided with the buggy, four young Amish members popped out afterward but their horse took off. "I guess it really spooked the horse," said Smith. "It ran up the road about a half-mile road and it ran down another gravel road and down a steep bank and turned the buggy over and it was dragging the buggy before they stopped it." Marie Lasater, Texas County coroner at the time when the pregnant Amish driver was struck by Smith, told ABC News it was the second collision involving Smith behind the wheel. Lasater said this incident happened "no more than a mile" from the location of the first deadly crash. On Sept. 1, Smith crashed into another Amish member driving a horse and buggy, Lasater said. Driving the same vehicle, Smith recalled striking the buggy of Mattie Miller, 29, from behind. On that day, the five-month pregnant woman's husband was working and she decided to drive the buggy to the store, Lasater said. Upon impact, Miller was propelled from the buggy and landed onto Smith’s windshield, Lasater added. "She hit the windshield of the car because she had some glass in [her] hair and scalp," Lasater said. The coroner said Miller was rushed to a local hospital and was "treated and released." "She was injured on a Friday and died on a Monday," Lasater said. "She basically had an inner cerebral bleed -- that was the cause of death." Miller's unborn child also did not survive, Lasater confirmed. The buggy itself was "undrivable," according to Lasater. Smith said she paid her respects to Miller's family and apologized for her death. "Of course, I apologized and they accepted my apology," Smith said. When Miller was laid to rest at an Amish burial, Smith said she was welcomed to be there. "I attended the funeral, which they had for the lady," Smith said. When asked if she's having second thoughts about driving, Smith said that she hasn't considered it yet. "I haven't had time to think about it," she said, "I can't answer that." Lasater said that older drivers might be better served to be tested to maintain their licenses. "I think it's important that elderly drivers be retested periodically," Lasater said. So far, Smith claimed she hasn't gotten behind the wheel of her Sable or any other car since Sunday's accident.